Heart attacks are the result of a stoppage of blood flow to the heart – an interruption to normal function that can result in severe tissue damage, or even tissue death. This loss of healthy tissue function is one of the biggest challenges in treating patients that undergo heart attacks, as the damaged tissue increases their risk of having future attacks. One of the main solutions to this issue right now is the creation of cardiac tissue scaffolds using stem cells to create a platform for new and healthy tissue to grow in vivo. A group of biomedical engineers at Michigan Technological University hopes to expand on this basis by focusing not just on cellular alignment in the scaffold but on that of microvessels too. 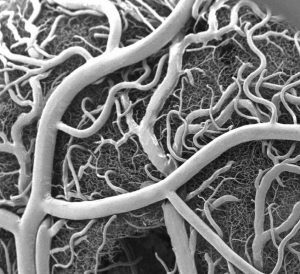 Led by Feng Zhao, Ph.D., Associate Professor of Biomedical Engineering, the team hopes that this new attention on microvessel organization will improve the vasculature of the scaffolds, and thus improve the success of the scaffolds in vivo, allowing for a better recovery from heart attacks. Stem cells are one of the hottest research areas in the field of bioengineering today. Widely known as the cells in the human embryo that have the ability to eventually transform into specific cells for the brain, lung, and every other organ, stem cells are also of recent interest because researchers found ways to reverse this process, transforming organ-specific cells back to the pluripotent stem cell level. This achievement however, is mostly applicable to individual stem cells, and doesn’t fully encapsulate the way this process might work on a larger population level. So Peter Zandstra, Ph. D., a bioengineering faculty member at the University of British Columbia, decided to research just that. Using mouse embryonic fibroblasts (MEFs), Zandstra and his lab attempted to track the cells throughout their reprogramming, to more clearly trace each back to its respective parent population. 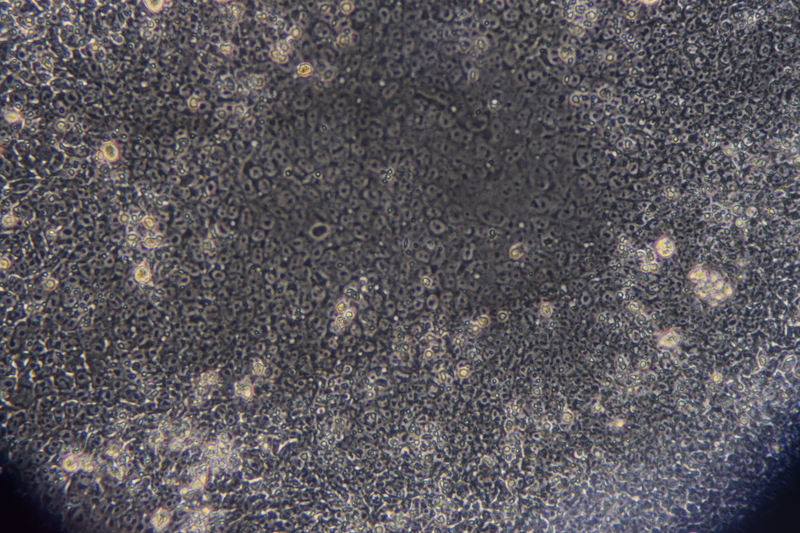 Surprisingly, they found that after only one week of reprogramming, nearly 80% of the original cell population had been removed, meaning that most of the parent generation was not “fit” enough to undergo the process of reprogramming, indicating that perhaps some stem cells will have a better chance of survival in this process than others. This research may suggest that not all cells have the capacity to undergo reprogramming, as many researchers originally thought. The difficulty in breathing associated with asthma is the result of bronchial spasms, which are a kind of muscle contraction in the airways. But little was known about just how these spasms occurred in patients, so Andre Levchenko, Ph.D., Professor of Biomedical Engineering at Johns Hopkins, and his lab created a microdevice to model them. Calling the device a “bronchi on a chip,” Levchenko and his team used a microphysiological model to look at some of the biochemical and mechanical signals associated with these kinds of muscle contractions. They found that the contractions operate in a positive feedback system, so that those caused by disturbance from allergens will subsequently cause even more contractions to occur. But surprisingly, they also found that a second contraction, if triggered at the right time during the initial contraction, could actually stop the process and allow the muscles to relax. Because asthma is a notoriously difficult disease to translate from animal to human models, this new device opens the door to understanding different mechanisms of asthma before taking research to clinical trials. A new bioengineering lab at the Children’s Hospital of Philadelphia called the Center for Pediatric Airway Disorders will specialize in a variety of airway procedures for pediatric patients such as tracheal reconstruction and recurrent laryngeal nerve reinnervation. This new lab will be one of the first to give a unique focus to the application of bioengineering to pediatric laryngology. The interdisciplinary center brings together students and researchers from all different fields, including materials science and microbiology, to find new ways of repairing tissue and regenerating organs related to respiratory disorders. Specific areas of research will involve the modeling of children’s vocal cords, understanding the mechanisms of fibrosis, and improving surgical procedures. 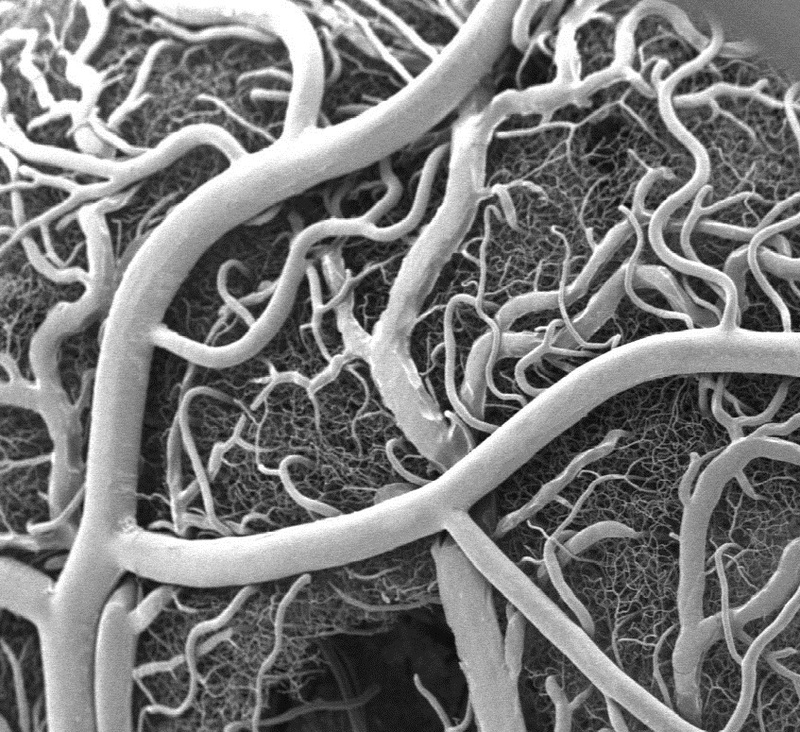 Though sickle cell anemia is a common and well-known disease, a new study of its causes at the nanoscale level might reveal previously unknown information about the assembly of hemoglobin fibers. Using microscopes with the ability to visualize these molecules at such a small level, researchers at the University of Minnesota found that the beginning organizations that lead to sickle cell anemia are much less ordered than originally thought. Led by Associate Professor of Biomedical Engineering David Wood, Ph.D., the team of researchers used this higher level of microscopy to find that hemoglobin self-assembly process, which was originally thought to be 96% efficient, is actually only 4% efficient. Wood hopes that this new knowledge will help allow for the development of new and better treatments for patients with sickle cell anemia, as there are currently only two FDA-approved ones on the market. Penn Today asked five Penn researchers about the women in STEM who have been a source of inspiration and encouragement throughout their own careers. Their responses include active researchers who have paved the way for better inclusion in STEM and famous female scientists from the past who broke boundaries as they made strides with their research. Read the full story on Penn Today. 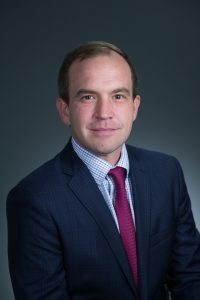 This week, we want to congratulate Joel Boerckel, Ph.D., Assistant Professor of Orthopaedic Surgery and Bioengineering, and his lab on receiving a second R01 Grant from the National Institute of Arthritis and and Musculoskeletal Skin Diseases for their work on defining the roles of YAP and TAZ in embryonic bone morphogenesis and mechanoregulation of fracture repair. Dr. Boerckel is a member of the McKay Orthopaedic Research Laboratory. We would also like to congratulate Christopher Yip, Ph. D., on being appointed as the new dean of the University of Toronto’s Faculty of Applied Science and Engineering. A professor in both the Department of Chemical Engineering and Applied Chemistry the Institute of Biomaterials and Biomedical Engineering, Dr. Yip’s research involves the use of molecular imaging to understand the self-assembly of proteins. In these images, the researchers labeled new proteins white, and antibodies against other proteins in different colors. The co-localization of new proteins and antibodies show how cells can impact their local environments. As different as muscle, blood, brain and skin cells are from one another, they all share the same DNA. Stem cells’ transformation into these specialized cells — a process called cell fate determination — is controlled through various signals from their surroundings. A recent Penn Engineering study suggests that cells may have more control over their fate than previously thought. Jason Burdick, Robert D. Bent Professor of Bioengineering, and Claudia Loebel, a postdoctoral researcher in his lab, led the study. Robert Mauck, Mary Black Ralston Professor for Education and Research in Orthopaedic Surgery at Penn’s Perelman School of Medicine, also contributed to the research. Their study was published in Nature Materials. Read the full story in the Penn Engineering Medium Blog. Media contact Evan Lerner. Though over ten million Americans have undergone LASIK vision corrective surgery since the option became available about 20 years ago, the procedure still poses some risk to patients. In addition to the usual risks of any surgery however, LASIK has even more due to the lack of a precise way to measure the refractive properties of the eye, which forces surgeons to make approximations in their measurements during the procedure. In an effort to eliminate this risk, a University of Maryland team of researchers in the Optics Biotech Laboratory led by Giuliano Scarcelli, Ph. D., designed a microscopy technique that would allow for precise measurements of these properties. 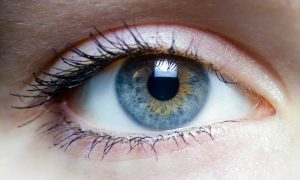 Using a form of light-scattering technology called Brillouin spectroscopy, Scarcelli and his lab found a way to directly determine a patient’s refractive index – the quantity surgeons need to know to be able to measure and adjust the way light travels through the eye. Often used as a way to sense mechanical properties of tissues and cells, this technology holds promise for taking three-dimensional spatial observations of these structures around the eye. Scarcelli hopes to keep improving the resolution of the new technique, to further understanding of the eye, and reduce even more of the risks involved with LASIK surgery. Space flight is likely to cause deleterious changes to the composition of bacterial flora, leading to an increased risk of infection. The environment may also affect the susceptibility of microorganisms within the spacecraft to antibiotics, key components of flown medical kits, and may modify the virulence of bacteria and other microorganisms that contaminate the fabric of the International Space Station and other flight platforms. In collaboration with G. Scott Worthen, a physician-scientist in neonatology at the Children’s Hospital of Philadelphia, Huh will attempt to answer this question by sending tissues-on-chips to space. Last June, the Center for the Advancement of Science in Space (CASIS) and the National Center for Advancing Translational Sciences (NCATS), part of the National Institutes of Health (NIH), announced that the duo had received funding to study lung host defense in microgravity at the International Space Station. Huh and Worthen aim to model respiratory infection, which accounts for more than 30 percent of all infections reported in astronauts. The project’s goals are to test engineered systems that model the airway and bone marrow, a critical organ in the immune system responsible for generating white blood cells, and to combine the models to emulate and understand the integrated immune responses of the human respiratory system in microgravity. Read the rest of the article on Penn Engineering’s Medium Blog. Media contacts Evan Lerner and Janelle Weaver. At the Westbrook Technology Center of Sappi, a global pulp and paper company, researchers found ways to apply innovations in paper texture for medical use. So far, these include endeavors in medical test devices and patches for patient diagnostics. In collaboration with the Caitlin Howell, Ph.D., Assistant Professor of Chemical and Biomedical Engineering at the University of Maine, Sappi hopes to continue advances in these unconventional uses of their paper, especially as the business in paper for publishing purposes declines. Sappi’s projects with the university focus on the development of paper microfluidics devices as what’s now becoming a widespread solution for obstacles in point-of-care diagnostics. One project in particular, called Sharklet, uses a paper that mimics shark skin as a way to impede unwanted microbial growth on the device – a key characteristic needed for its transition into commercial use. Beyond this example, Sappi’s work in developing paper microfluidics underscores the benefits of these devices in their mass producibility and adaptability. Scientists at Rice University recently found that a protein signaling pathway called WNT, typically associated with its role in early organism development, can both listen for signals from a large amount of triggers and influence cell types throughout embryonic development. These new findings, published in PNAS, add to the already known functions of WNT, deepening our understanding of it and opening the doors to new potential applications of it in stem cell research. Led by Aryeh Warmflash, Ph. D., researchers discovered that the WNT pathway is different between stem cells and differentiated cells, contrary to prior belief that it was the same for both. Using CRISPR-Cas9 gene editing technology, the Warmflash lab observed that the WNT signaling pathway is actually context-dependent throughout the process of cellular development. This research brings a whole new understanding to the way the WNT pathway operates, and could open the doors to new forms of gene therapy and treatments for diseases like cancers that involve genetic pathway mutations. In a recent article from Technical.ly Philly, named Group K Diagnostics on a list of ten promising startups in Philadelphia. Group K Diagnostics founder Brianna Wronko graduated with a B.S.E. from Penn’s Department of Bioengineering in 2017, and her point-of-care diagnostics company raised over $2 million in funding last year. Congratulations Brianna! We would also like to congratulate Pamela K. Woodward, M.D., on her being named as the inaugural Hugh Monroe Wilson Professor of Radiology at the Washington University School of Medicine in St. Louis. Also a Professor of Biomedical Engineering at the university, Dr. Woodward leads a research lab with a focus on cardiovascular imaging, including work on new standards for diagnosis of pulmonary blood clots and on an atherosclerosis imaging agent. David Bishop, Ph. D., a professor at the College of Engineering at Boston University whose current research involves the development of personalized heart tissue as an all-encompassing treatment for patients with heart disease. Gilda Barabino, Ph. D., the dean of the City College of New York’s Grove School for Engineering whose lab focuses on cartilage tissue engineering and treatments for sickle cell disease. Karl Deisseroth, M.D., Ph. D., a professor of bioengineering at Stanford University whose research involves the re-engineering of brain circuits through novel electromagnetic brain stimulation techniques. Rosalind Picard, Ph.D., the founder and director of the Affective Computing Research Group at the Massachusetts Institute of Technology’s Media Lab whose research focuses on the development of technology that can measure and understand human emotion. And finally, Molly Stevens, Ph. D., the Research Director for Biomedical Material Sciences at the Imperial College of London with research in understanding biomaterial interfaces for biosensing and regenerative medicine. Spinal discs, the concentric circles of collagen fiber found between each vertebra of the spine, can be the source of immense back pain when ruptured. Especially for truck and bus drivers, veterans, and cigarette smokers, there is an increased risk in spinal disc rupture due to overuse or deterioration over time. But these patients aren’t alone. In fact, spinal discs erode over time for almost everyone, and are one of the sources of back pain in older patients, especially when the discs erode so much that they allow direct bone-to-bone contact between two or more vertebrae. Robert Mauck, Ph.D., who is the director of the McKay Orthopaedic Research Laboratory here at Penn and a member of the Bioengineering Graduate Group Faculty, led a research team in creating artificial spinal discs, with an outer layer made from biodegradable polymer and an inner layer made with a sugar-like gel. Their findings appear in Science Translational Medicine. These synthetic discs are also seeded with stem cells that produce collagen over time, meant to replace the polymer as it degrades in vivo over time. Though Mauck and his time are still far from human clinical trials for the discs, they’ve shown some success in goat models so far. If successful, these biodegradable discs could lead to a solution for back pain that integrates itself into the human body over time, potentially eliminating the need of multiple invasive procedures that current solutions require. Mauck’s work was recently featured in Philly.com. Neurostimulation, a process by which nervous system activity can be purposefully modulated, is a common treatment for patients with some form of paralysis or neurological disorders like Parkinson’s disease. This procedure is typically invasive, and because of the brain’s extreme sensitivity, even the slightest involuntary movement of the cables, electrodes, and other components involved can lead to further brain damage through inflammation and scarring. In an effort to solve this common problem, researchers from the B.I.O.N.I.C. Lab run by Takashi D.Y. Kozai, Ph. D., at the University of Pittsburgh replaced long cables with long wavelength light and a formerly tethered electrode with a smaller, untethered one. The research team, which includes Pitt senior bioengineering and computer engineering student Kaylene Stocking, centered the device on the principle of the photoelectric effect – a concept first described in a publication by Einstein as the local change in electric potential for an object when hit with a photon. Their design, which includes a 7-8 micron diameter carbon fiber implant, is now patent pending, and Kozai hopes that it will lead to safer and more precise advancements in neurostimulation for patients in the future. Many forms of cancer cannot be detected until the disease has progressed past the point of optimum treatment time, increasing the risk for patients who receive late diagnoses of these kinds of cancer. But what if the diagnostic process could be simplified and made more efficient so that even a single drop of blood could be enough input to detect the presence of cancer in a patient? Yong Zeng, Ph.D., and his team of researchers at the University of Kansas in Lawrence sought to answer that question. They designed a self-assembled 3D-nanopatterned microfluidic chip to increase typical microfluidic chip sensitivity so that it can now detect lower levels of tumor-associated exosomes in patient blood plasma. This is in large part due to the nanopatterns in the structure of the chip, which promote mass transfer and increase surface area, which in turn promotes surface-particle interactions in the device. The team applied the device to their studies of ovarian cancer, one of the notoriously more difficult kinds of cancer to detect early on in patients. Michelle Khine, Ph. D., a professor of biomedical engineering at the University of California, Irvine incorporates Shrinky Dinks into her research. After using them once before in a medical device involving microfluidics, her lab recently worked to incorporate them into a wearable respiration monitor – a device that would be useful for patients with asthma, cystic fibrosis, and other chronic pulmonary diseases. The device has the capability to track the rate and volume of its user’s respiration based on measurements of the strain at the locations where the device makes contact with the user’s abdomen. Paired with Bluetooth technology, this sensor can feed live readings to a smartphone app, giving constant updates to users and doctors, as opposed to the typical pulmonary function test, which only provides information from the time at which the test takes a reading. Though Khine and her team have only tested the device on healthy patients so far, they look forward to testing with patients who have pulmonary disorders, in hopes that the device will provide more comprehensive and accessible data on their respiration. Ashley Kimbel, a high school senior from Grissom High School in Huntsville, Alabama, designed a lightweight prosthetic leg for local Marine, Kendall Bane, after an attack in Afghanistan led him to amputate one of his legs below the knee. Bane, who likes to keep as active as possible, said the new lighter design is more ideal for activities like hiking and mountain biking, especially as any added weight makes balance during these activities more difficult. Kimbel used a CAD-modeling software produced by Siemens called Solid Edge, which the company hopes to continue improving in accessibility so that more students can start projects like Kimbel’s. This week, we would like to congratulate Angela Belcher, Ph.D., on being named the new head of the Department of Biological Engineering at the Massachusetts Institute of Technology (MIT). With her appointment to this role, now half of the MIT engineering department heads are women. Belcher’s research is in the overlap of materials science and biological engineering, with a particular focus on creating nanostructures based on the evolution of ancient organisms for applications in medical diagnostics, batteries, solar cells, and more. We would also like to congratulate Eva Dyer, Ph.D., and Chethan Pandarinath, Ph.D., both of whom are faculty members at the Walter H. Coulter Department of Biomedical Engineering at Georgia Tech and Emory University, on receiving research fellowships from the Alfred P. Sloan Foundation. 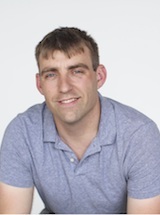 Dr. Dyer, who formerly worked with Penn bioengineering faculty member Dr. Konrad Kording while he was at Northwestern University, leads research in the field of using data analysis methods to quantify neuroanatomy. Dr. Pandarinth leads the Emory and Georgia Tech Systems Neural Engineering Lab, where he works with a team of researchers to use properties of artificial intelligence and machine learning to better understand large neural networks in the brain. 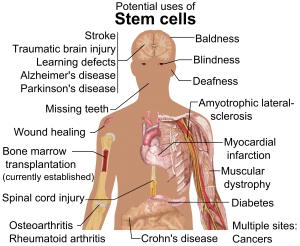 Stem cell therapy has been used to treat a variety of conditions. Segmental Additive Tissue Engineering from NYSCF on Vimeo. Ralph Lauren Senior Investigator Guiseppe Maria de Peppo, PhD, and first author Martina Sladkova, PhD, express their hope that this new procedure will help address some of the limitations of bone grafts, such as immune system rejection, the need for growing bones in pediatric patients, and the difficulty of creating larger bone grafts made from patient stem cells. Elsewhere in stem cell research, the Spanish Agency for Medicines and Medical Devices has given the company Viscofan BioEngineering approval to start clinical trials for stem cell therapy to treat heart failure. Already a world leader in the market for medical collagen, Viscofan is now turning its research toward using collagen (a protein found in the connective tissue of mammals) to strengthen the weakened heart muscle of those with ischemic cardiomyopathy, a type of heart failure and the leading cause of death in the world. This new “Cardiomesh” project includes collaborators from industry, academia, and hospitals to create this elastic and biodegradable product. Viscofan expects to start clinical trials after the summer of this year, and the full details can be found in Viscofan’s press release. The Canadian government awarded a $1.65 million federal grant to two top Canadian universities to develop a center based on engineering RNA. The University of Lethbridge and the Université de Sherbrooke will team up with international collaborators from the United States, Germany, France, Australia, and more and to found and develop the Ribonucleic Acid Bioengineering and Innovation Network Collaborative Research and Training Experience over the next six years. This comes as part of the Canadian government’s CREATE initiative, which awards grants to research teams across the country to support research, innovation, and jobs-creation in the sciences. These two universities are national leaders in the field of RNA research, a diverse and interdisciplinary field. This new network will focus on training of both young academics transitioning to industry and entrepreneurs looking to develop new technologies. This project is led by Hans-Joachim Wieden, PhD, Chemistry and Biochemistry faculty at the University of Lethbridge and an Alberta Innovates Strategic Chair in RNA Bioengineering. Close to Philadelphia in Allentown, PA, researchers at Lehigh University received a National Science Foundation (NSF) grant to support their research into one of the deadliest of modern diseases, the Ebola virus, which is highly infectious and currently without vaccine or cure. Entitled “TIM Protein-Mediated Ebola Virus-Host Cell Adhesion: Experiments and Models,” the goal of this research is to create a “predictive and quantitative model of the Ebola Virus (EBOV)-host cell interactions at the molecular through single-virus levels.” Building on past research, the investigators ultimately hope to provide the first quantitative study of this type of cell interaction. By studying how EBOV enters the body through healthy cells, the aim is to understand how it works and ultimately develop a technique to stop its entry. The lead investigator, Anand Jagota, PhD, is the current Professor and Founding Chair of Lehigh University’s Bioengineering program. The National Institute of Biomedical Imaging and Bioengineering (NIBIB) awarded a grant to Fake (Frank) Lu, PhD, Assistant Professor of Biomedical Engineering at the State University of New York (SUNY) at Binghamton in support of his research to design more accurate techniques for the removal of brain tumors. His technique, called Stimulated Raman Scattering or SRS, is a mode of identifying molecules during surgery which can be used to create a highly detailed and accurate image. Dr. Lu’s SRS techniques will improve both the speed of the surgery and the accuracy of the tissue removal. With this grant support, Dr. Lu’s team will collaborate with local universities and hospitals on collecting more data as their next step before making the technology more widely available. Undergraduate students at our neighbor Drexel University received the Robert Noyce Scholarship, an NSF program that supports students seeking their teacher certification in science and math at the middle school level. The co-investigators and undergraduates are from a variety of disciplines and programs across the university, including co-investigator Donald L. McEachron, PhD, Teaching Professor of Biomedical Engineering, Science and Health Systems. The students’ curriculum in the DragonsTeach Middle Years program will combine rigorous preparation for teaching STEM subjects and the foundational knowledge to work with under-served schools. Another group of students, this time from California State University, Long Beach, used their victory in the university’s annual Innovation Challenge as an opportunity to launch a startup called Artemus Labs. Their first product, “Python,” uses body heat other physical sensations to regulate a prosthetic liner, useful in making sure prosthetic limbs are comfortable for the wearer. The students explained that their idea was driven by need, as few prosthetic manufacturers prioritize such factors as temperature or sweat regulation in the creation of their products. Finally, the University of Southern California Viterbi School of Engineering has a new Chair of Biomedical Engineering: Professor K. Kirk Shung, PhD. Dr. Shung obtained his doctorate from the University of Washington and joined USC in 2002. With a background in electrical engineering, Dr. Shung’s research focuses on high frequency ultrasonic imaging and transducer development, and has been supported by a NIH grant as well as won multiple awards from the American Institute of Ultrasound in Medicine and the Institute of Electrical and Electronics Engineers (IEEE), among others. Diseases of the small intestine, including Crohn’s disease and microbial infections, impose a huge burden on health. However, finding treatments for these diseases is challenged by the lack of optimal models for studying disease. Animal models are only so close to human disease states, and laboratory models using cell lines do not completely mimic the environment inside the gut. However, these limitations might be overcome soon thanks to the research of scientists at Tufts University. 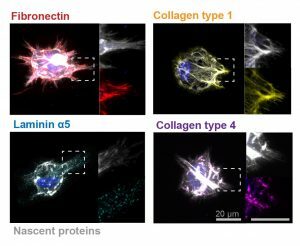 In an article recently published in PLOS ONE, a team led by David L. Kaplan, Ph.D., of the Tufts Department of Biomedical Engineering, describes how they used donor stem cells and a compartmentalized biomimetic scaffold to model and generate small intestine cells that could differentiate into the broad variety of cell types common to that organ. The study team tested the response of its cell model to E. coli, a common pathogen. At the genetic level, the model matched the reaction of the human small intestine when exposed to this bacterium. The success of the model could translate into its use in the near future to better understand the digestive system’s response to infection, as well as to test individualized treatments for inflammatory bowel diseases such as Crohn’s. The increase in combat survival rates has led to a higher incidence of veterans with permanent vision loss due to catastrophic damage to the eye. Globe injuries will recover of some vision, if caught in time. However, combat care for eye injuries often occurs hundreds or thousands of miles away from emergency rooms with attending ophthalmologists. With this unavoidable delay in treatment, people with globe injuries suffer blindness and often enucleation. However, battle medics might soon have something in their arsenals to prevent such blinding injuries immediately in the combat theater. As reported recently in Science Translational Medicine, engineers at the University of Southern California (USC) and ophthalmologists from USC’s Roski Eye Institute have collaborated in creating a new material for temporary sealing of globe injuries. The study authors, led by John J. Whalen, III, Ph.D., used a gel called poly(N-isopropylacrylamide) (PNIPAM), already under investigation for treating retinal injuries. PNIPAM is a thermoresponsive sealant, meaning it is a liquid at cooler temperature but an adhesive gel at warmer temperature. These interesting properties mean PNIPAM can be applied as a liquid and then solidifies quickly on the eye. The authors manipulated PNIPAM chemically to make it more stable at body temperature. As envisioned, the gel, when used with globe injuries, could be applied by medics and then removed with cold water just before the eye is treated. The study team has tested the gel in rabbits, where it showed statistically significant improvement in wound sealing and no negative effects on the eyes or overall health of the rabbits. The authors believe the material will be ready for human testing in 2019. Epilepsy is a central nervous system disorder characterized by seizure activity that can range in severity from mild to debilitating. Many patients with epilepsy experience adequate control of seizures with medications; however, about a third of epileptic patients have intractable cases requiring surgery or other invasive procedures. In what could be a breakthrough in the treatment of refractive epilepsy, scientists from Australia in collaboration with IBM Research-Australia have used big data from epilepsy patients to develop a computer model that can predict when seizures will occur. So far, the technology predicts 69% of seizures in patients. While it’s still short of a range of accuracy making it feasible for use in patients outside of experimental settings, the acquisition of ever-increasing amounts of data will render the model more accurately. Among the techniques used in genetic engineering is protein folding, which is one of the naturally occurring processes that DNA undergoes as it takes on three dimensions. Among the major developments in genetic engineering was the discovery of the ability to fold DNA strands artificially, in a process called DNA origami. Now, as suggested by the name “origami,” some people have begun using the process in quasi-artistic fashion. In an article recently published in Nature, bioengineers at CalTech led by Lulu Qian, Ph.D., assistant professor of bioengineering, showed they were able to produce a variety of shapes and designs using DNA origami, including a nanoscale replica of Leonardo da Vinci’s Mona Lisa. DNA now also has another unique artistic application — tattoos, although people’s opinions of whether tattooing constitutes art might vary. Edith Mathiowitz, Ph.D., of Brown University’s Center for Biomedical Engineering, is among the patenters of Everence, a technology that takes DNA provided by a customer and incorporates it into tattoo ink. Potential tattooees can now have the DNA of loved ones incorporated into their bodies permanently, if they should so wish. 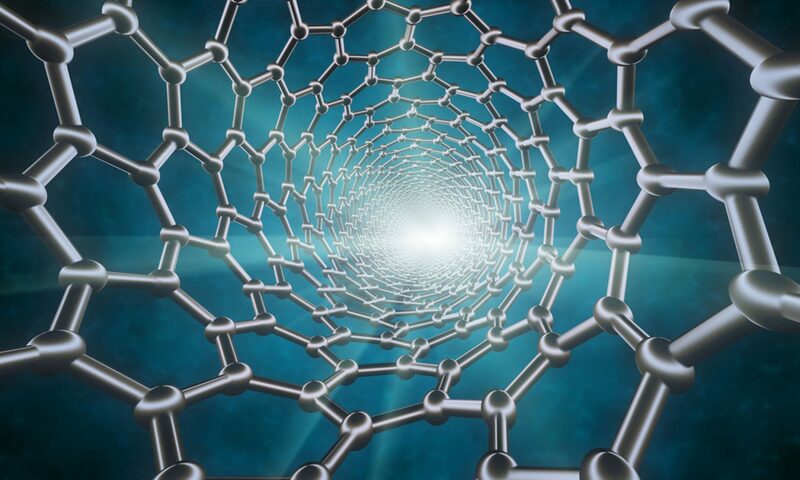 The University of Washington has launched its new Institute for Nano-engineered Systems, cutting the ribbon on the building on December 4. The center will house facilities dedicated to scalable nanomanufacturing and integrated photonics, among others. Meanwhile, at the University of Chicago, Rama Ranganathan, M.D., Ph.D., a professor in the Department of Biochemistry and Molecular Biology and the Institute for Molecular Engineering, will lead that college’s new Center for Physics of Evolving Systems. Congratulations! Last week, we reported on researchers at Purdue University studying how the brain processes visual data. A recent report from biomedical engineers at Washington University-St. Louis studies another intriguing aspect of brain function: how we detect and interpret sound. The popular perception is that that neurons in the brain’s auditory cortex first identify that a sound is present (introductory reaction) and then determine the sound content (secondary reaction). Dennis Barbour, MD, Ph.D., associate professor of biomedical engineering at WashU and lead author on this study, tested whether the accuracy of the information encoded during the first process was less accurate than that recorded during the second process. While animals were exposed to auditory stimuli, the activity of neurons in their auditory cortices was measured and recorded using event-related potentials and functional MRI. Dr. Barbour refuted the popular assumption of less accuracy earlier in sound processing. The group’s data showed that neurons were equally accurate in communicating sound information regardless of whether it was an introductory or secondary reaction. Therefore, it is likely that these two reactions serve a different purpose than initially suspected. Whether this model of neuron reaction to stimuli pertains to the other sensory organs remains to be seen. Peripheral artery disease (PAD) is one complication of diabetes, characterized by a narrowing of blood vessels in the peripheral circulation. PAD can lead to poor oxygenation of tissue in the limbs, and in the most severe cases, it can lead to limb amputation. Therefore, there is a great unmet clinical need to reverse the poor circulation caused in PAD. In a recent issue of Theranostics, mesenchymal stem cells (MSCs) were used to regrow blood vessels damaged by PAD. Led by Wawrzyniec Lawrence Dobrucki, Ph.D., professor of bioengineering and of medicine and head of the Experimental Molecular Imaging Laboratory at the Beckman Institute for Advanced Science and Technology at the University of Illinois, Urbana-Champaign, this report showed the development of new blood vessels (angiogenesis) could be accelerated by injecting MSCs into mice following limb ischemia. The authors found that angiogenesis was 80% greater than the angiogenesis in untreated animals. These changes in the blood vessel network were also matched with functional improvement, as blood perfusion increased by 42% and muscle strength by 70% in animals treated with MSCs. The study provides additional evidence for the multiple medical applications of stem cells. Dr. Dobrucki believes the technology tested in this study could eventually be applied not only to regenerate damaged vascular tissue but also to diagnose diseases like PAD. Blood testing provides a simple and effective way to diagnose many diseases. But what can healthcare professionals do if obtaining a blood sample isn’t possible? Children and patients who fear needles pose the biggest problems here, but collecting blood can also be difficult for patients in remote areas. 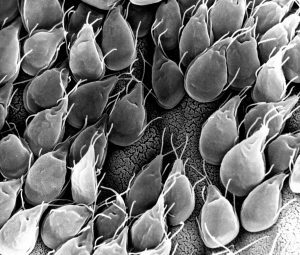 To both reduce the discomfort and increase patient accessibility to diagnostic tests, there is a great interest in replacing blood-based diagnostic tests with tests using other fluids like saliva and urine. Using a grant from the National Institutes of Health, Chandra Mohan, Ph.D., Hugh Roy and Lillie Cranz Cullen Endowed Professor of biomedical engineering at the University of Houston, intends to address this issue by developing a saliva-based test for lupus, an autoimmune disorder that affects approximately 1.5 million Americans. Based on the discovery that anti-double stranded DNA antibodies appear in the blood and saliva of lupus patients, Dr. Mohan will develop and then test the new diagnostic method to evaluate the potential of replacing blood-based detection with saliva samples. Along with concerns about climate change, environmental concerns regarding pollution have been an emphasis of scientists and activists for decades. Garbage poses a particular problem because most of the plastic in garbage is not biodegradable. In response to this environmental concern, a team of engineering students at the University of Iowa have used genetic engineering to develop sensors for biodegradable plastics. Bacteria already produce a biodegradable plastic – 3-hydroxypropionate (3HP) – that could be a replacement for the non-degradable plastics that are used in the market today. However, manufacturing 3HP is more expensive, and new production methods would be more efficient if there were a sensor available to determine 3HP amounts during the manufacturing process. The Iowa team engineered bacteria that emit light based on the 3HP present in the microenvironment. By monitoring the emitted light during the manufacture of 3HP, we could control and optimize the production of 3HP and eventually make it an affordable alternative to non-degradable plastics. The team presented its research last week at the Giant Jamboree sponsored by the International Genetically Engineered Machine Foundation in Boston. The University of California, Santa Barbara, opened its new bioengineering building recently. The building will house at least a dozen faculty and their research groups and both the Center for Bioengineering and the Institute for Collaborative Biotechnologies. At the University of Southern California, officials announced the creation of a new center: the USC Michelson Center for Convergent Bioscience, designed to take advantage of collaborative research teams to tackle major health problems, including cancer, infection and drug development. The center will be run by chemistry faculty member Valery Fokin and by Peter Kuhn, Ph.D., Professor of Aerospace and Mechanical Engineering & Biomedical Engineering at USC. Finally, last week, Tulane University’s Department of Biomedical Engineering celebrated its 40th anniversary. Happy anniversary, Tulane! Repairing heart tissue after a heart attack is a major focus of tissue engineering. A key challenge here is keeping grafted cardiomyocytes in place within the tissue to promote repair. As we reported a couple of weeks ago, using tissue spheroids and nanowires is one approach to overcome this challenge. Another approach involves manipulating the cell cycle — the process by which normal cells reproduce, grow, and eventually die. In the latest advance in cellular engineering for this purpose, Jianyi Zhang, M.D., Ph.D., chair of the Department of Biomedical Engineering at the University of Alabama, Birmingham (UAB) and T. Michael and Gillian Goodrich Endowed Chair of Engineering Leadership, published an article in Circulation Research showing how to control key cell-cycle activators to improve the success rate of cardiomyocyte transplants. Dr. Zhang and his coauthors, using a mouse model of myocardial infarction, engineered the transplanted cells so that they expressed much higher levels of cyclin d2, a protein that plays a key role in cell division. Cardiac function improved significantly, and infarct size decreased in mice receiving these engineered the cells. The authors plan to test their discovery next in larger animal models. Use of stem cells in tissue regeneration isn’t limited to the heart, of course. Stephanie Willerth, Ph.D., Canada Research Chair in Biomedical Engineering at the University of Victoria in Canada, is one of two recipients from that school of an Ignite Award from the British Columbia Innovation Council. Dr. Willerth will use her award to create “bioink” for three-dimensional printers. The bioink will convert skin cells into pluripotent stem cells using technology developed by Aspect Biosystems, a biotech company in Vancouver. 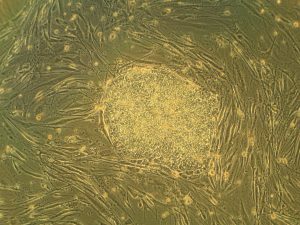 Once induced, the pluripotent stem cells can be converted again into a number of different cell types. Dr. Willerth’s specific focus is building brain tissue with this technology. Prosthetic limbs have been a standard of care for amputees and people with underdeveloped arms or legs. Many current prostheses are designed to resemble actual limbs and use myoelectrical interfaces to re-create normal movements. Alternatively, other prostheses designed for specific purposes, such as the Flex-Foot Cheetah prosthetic foot for running, do not resemble the human limb but are optimized for a specific prosthetic function. Now, a group of undergraduate bioengineering students at George Mason University (GMU) produced a prosthetic arm to play the violin. The students, who were instructed by Laurence Bray, Ph.D., associate chair of the Department of Bioengineering at GMU, were connected with a local fifth grader from nearby Alexandria, Va., named Isabella Nicola. Nicola was born without a left hand and only part of her left arm, and she had been learning violin using a prosthesis designed for her by her music teacher. The teacher, a GMU alumnus, reached out the department for help. The design team used a three-dimensional printer to create a prosthetic arm for Isabella. The prosthesis is made of durable, lightweight plastic and includes a built-in bow, which Isabella can use to play her instrument. The prosthesis is hot pink — the color of Isabella’s choosing. She can now play the violin much more easily than before. Whether a symphony chair is in her future is up to her. The University of New Hampshire will use a five-year Center of Biomedical Research Excellence grant by the National Institutes of Health to create the Center of Integrated Biomedical and Bioengineering Research. The center will unite several colleges under the rubric of bioengineering and biomedical engineering. Similarly, the University of Iowa will use a $1.4 million grant from the Roy J. Carver Charitable Trust, an Iowa-based charity, to add a biomedical engineering laboratory for its College of Engineering. Finally, congratulations to University of Minnesota Ph.D. BME student Lizzy Crist, who has been named the NCAA’s Woman of the Year, for her undergraduate record as a scholar-athlete (soccer) at Washington University in St. Louis. She joins last year’s winner, MIT biological engineering student Margaret Guo, a swimmer who is now an M.D./Ph.D. student at Stanford.